In this curriculum, students get hands-on training using the latest digital video and digital audio equipment. With an instructional foundation in media concepts, students put their knowledge to work in modern audio, radio, and video studios. Characteristics of successful students include energetic and creative people who are good writers. They thrive in a hands-on environment and enjoy working with new concepts in both technology and theory. They also work as team players and tend to be task oriented. Other helpful traits include the ability to work well under deadline pressures and to think critically. Graduates are prepared to work in radio, television, audio, video, and related applications. They are prepared to work in media production, digital editing (both audio and video), media management, on-air, and sales. The program includes an industry internship that helps open doors for employment. Faculty members have strong working relationships with broadcasting and media arts employers that are helpful in locating jobs for graduates. The college owns two student radio stations that are operated by the Media Technologies department. Located on the Lee Main Campus in Sanford, WDCC FM is a 3,000-watt station broadcasting 24 hours a day year-round. WUAW, 88.3 FM, is located in Erwin and operated from Harnett County 24/7. Both stations are formatted with a variety of popular music so students are prepared to work in the commercial and corporate world. Additionally, students create high definition (HD) video content to be shown on the college's cable channels, 4CNC TV and Lee County Government (LCG) TV. 4CNC TV is available throughout 17 central North Carolina counties via Charter, Time Warner, and Prism cable systems. Streaming from the CCCC homepage is also available world-wide! Although the program is designed to prepare students for immediate employment in the media industry, some four-year colleges and universities have granted transfer credits for our broadcasting courses. Receiving institution grant credits at their discretion. Several credential options are available. Students may earn a one-year diploma in either radio or television production. Most choose the two-year Associate in Applied Science Degree that provides instruction in both fields. 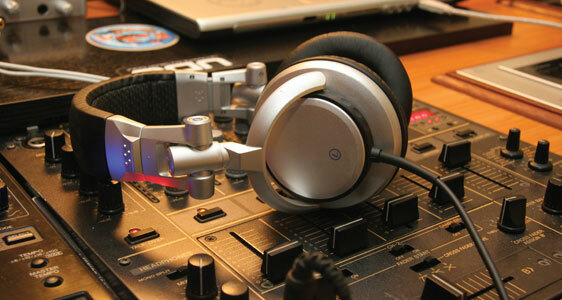 In the radio sequence, students study digital audio recording and mixing, microphone techniques, sound effects, Adobe Audition software, live announcing, and work on-air as a DJ. The television sequence includes digital editing with Adobe Creative Suites, digital and multimedia production, directing, producing, HD video photography, shot composition, live studio productions, field production, video graphics, lighting design, digital video effects, plus broadcast writing and reporting of news and feature stories. The video studio is outfitted with an HD Tri-caster system, HD cameras, lighting and green screen for virtual sets. Some graduates have continued to study digital film making with the experience gained at CCCC. Media concepts include an introduction to the industry, FCC Rules, revenue sources, media law and ethics, financial and personnel management, scheduling procedures for electronic media, and station programming. Basic communication skills are also emphasized in this curriculum, as are skills in voice and diction, oral communication, script writing , and people skills.